When it comes to important events, atmosphere is everything. Live music can create the right ambience to make your social or corporate gathering a success. 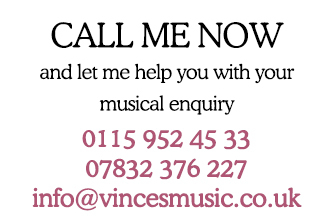 Whether it’s a dinner or garden party, anniversary or corporate event, Vinces’s music will help to ensure the occasion is memorable for everyone. Call now to make your booking.